Jungle Red Writers: What We're Writing? Hank says: Sisters,Sisters! 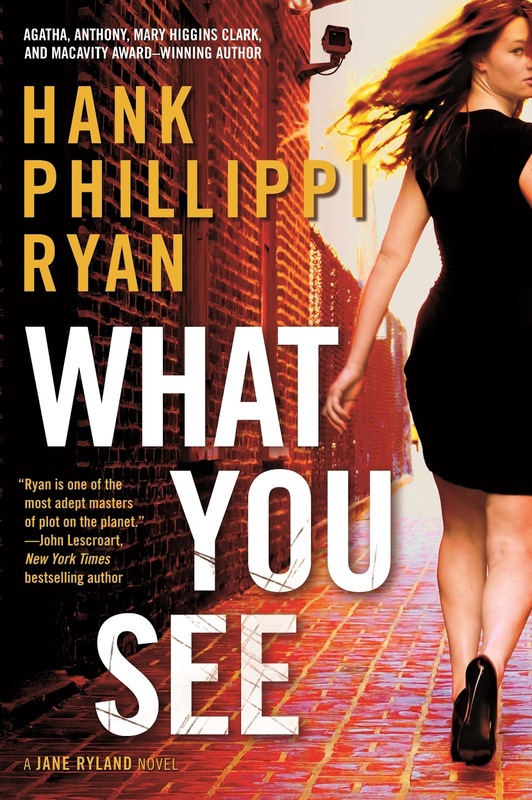 HANK PHILLIPPI RYAN: I love when there's a theme! And better yet, we didn't plan it. Yesterday Hallie talked about her sisters--and all the writing prompts that come from them. I have three sisters,Nina, Nancy and Liz. (Less famous, but none the less just as fascinating.) But I don't so much write about them as about sister relationships. WHAT YOU SEE--which illustrates, of course, that What You See is not always the truth---is the first real up close introduction to Jane's younger sister Melissa, who, because she's like that, insisted on being called Lissa for her entire life until recently, when she decided Melissa was more appropriate for a partner-track lawyer, and so eschewed nicknames. Jane is embroiled in her first story in a long time--trying to clinch a job at Channel 2, and the murder she's been assigned to cover might just be her ticket back to TV. It's noon, in summer, and she's in Curley Park, just outside Faneuil Hall Marketplace, where law enforcement and EMTs are now converging on a murder scene. But in the midst of it all, Lissa, I mean Melissa, calls Jane. After some explanation of how her fiancé is stuck at the airport in Geneva, she drops the bombshell. "We can't find Gracie," Melissa says. And so--a snippet of Chapter 8. “You can’t find Gracie?” Jane closed her eyes briefly, trying to blank out the crowd and the whirling red lights of the ambulance and the muttering undercurrent as gawking onlookers dissected the scene before them, voices dimmed in respect or horror. Melissa had finally gotten to the point, but that didn’t mean Jane understood it. “What part of ‘can’t find’ do you not understand, Jane?” Melissa’s voice, taut and demanding, grated through Jane’s cell. Melissa was relentless when things didn’t work her perfect way. Jane poked an available finger into her non-phone ear, trying to block out the wail of an approaching siren. Failed. She looked up, frowning, scoping out the situation. The EMTs still knelt by the victim. Why did they need another ambulance? She couldn’t shoot any video while she was talking on the phone. She turned her back on the whole thing. She’d give Melissa thirty seconds. Thirty charitable seconds. “Her mother—have you met her? Robyn with a y? Is going nuts,” Melissa said. “She’s the neediest person imaginable. But anyway, Gracie. She comes home from school for lunch. Thanks to Daniel’s incredibly generous child support, they send her to Brookline Charter, close to their—well, anyway.” Melissa was interrupting herself now, no need for Jane to try. Jane kept her eyes closed and head down, the only way she could focus and not be distracted by little things like, say, her job and a murder. Both of which she was now, to her certain detriment, ignoring. Jane’s call-waiting beeped in, an insistent little chirp that demanded her attention. Channel 2. Of course, wanting to know what she’d discovered. “I’m on the phone with my sister” was not a good answer. Jane winced, frustrated with this whole juggling thing. If Gracie was really gone, truly gone, whatever “gone” meant, naturally that trumped anything. But Gracie was with her stepfather, right? And Melissa always overreacted. “This is Jane,” she said. “I, um—” He was kidding, right? Jane didn’t need any help. “Definitely,” she said. She looked up, squinting. Noontime shadows made dark puddles at each onlooker’s feet. Two of the EMTs were standing now, the other pointing the medical examiner to the man sprawled on the brick walkway. They clicked open the legs of a collapsible metal gurney. The crowd stepped back, as one, as if the medics needed additional room for this delicate procedure. “Listen, Derek, no cops are talking yet. The ME is here. They’re moving the victim now. Gotta get a shot of this, gotta go, I’ll call you back.” She hung up before the editor could give her more instructions. Or more criticism. Jane had this, no problem, she simply needed to do it her way. Back to Melissa. “She’s fine.” No more stress in Melissa’s voice? “Jo-king,” Melissa singsonged. “TTYL.” And hung up. The woman was a partner-track lawyer, for God’s sake. Who would say ttyl out loud? But at least Gracie was fine. Another personal life disaster successfully solved. Now to get her professional life back. She picked up the video camera and headed for the action. The ambulance doors were still open. She hadn’t missed a thing. HANK: But of course, it's only Chapter 8. And pssst. I have an ARC. So one lucky commenter will win the advance reading copy of WHAT YOU SEE! Ah, so nice to see another sister piece. I enjoyed Hallie’s yesterday; glad she decided to be a sister that wrote. And now here's another sister story. It’s fun to discover Jane’s family life, to meet Melissa, who in this chapter seems maybe a tad needy? It’s another side of Jane, another dimension . . . and the only bad thing about the whole “what we’re writing” week is that we get these little tidbits and it’s so hard to wait to see how it all fits together [which we know it will] . . . can’t wait to read the whole story. Favorite fictional wedding? There are so many good ones that it’s tough to pick, but “It Happened One Night” with Clark Gable and Claudette Colbert gets my vote. Oooh, great excerpt! Can't wait for this one. Real weddings aren't really my thing, so much drama. Do all brides go insane? In order to calm down my (now ex) daughter-in-law on the wedding day a few years ago, I allowed my hair to be teased into a bouffant that would have put the 60's to shame. My own son barely recognized me. Fictional weddings? Now those are great. 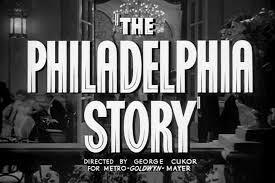 "Philadelphia Story" of course. And how about "Member of the Wedding" with Julie Harris? I've wanted to "wash and stretch" my hair at times, too. Oh, Joan, I love It HAppened on Night! SUCH classic scenes. Grandma, I fear you are right. I guess it;s just the pressure--but whoa. I had a pal who had a battle royal with her mother-- I mean knock down drag out--about whether she had to wear gloves at her wedding. Gloves! ooooh, I'm going to just love Lissa, I mean Melissa, I can just tell! Weddings? Man, I love weddings. Real. Fictional. I just love a wedding. My wedding story is that the one time I was a bridesmaid for my dearest friend (could be a sister) Jodyne - there were about 6 of us on this candlelit stage, and the Rabbi is going on (as they are wont to do) and my veil started to catch fire. Literally. I was standing too close to a candle. Hijacked everyone's attention. It was awful. I believe this is why bridesmaids no longer wear veils. As for fictional weddings, how about Luke and Laura's nuptials on General Hospital - yes, I know I am dating myself, but I hear Luke is leaving the show very soon, so it seems appropriate. I love "The Philadelphia Story" as well, but in an effort to be original, I'll say "High Society." Or "Mamma Mia!" Oh, Mamma Mia! Of course. ANd HIgh Society--I could watch it a million times. You know, I IWSH i had seen Luke and Laura. it feels as if I did--I've seen so many photos of it, it's so familiar! (They don;t hardly make 'em that way any more, right?) I kind of remember ALl My CHildren--which you could pick up at any moment and understand the whole thing, right? And wasn't there one called Bright Promise? Hallie, I am howling. Your VEIL caught on fire? That is..hilariously horrible. SO they've not only due away wit veils, but candles, right? Awesome excerpt, as always. I have a funny feeling that the Gracie and Lissa drama isn't over yet. Way too simple a solution. I was the maid of honor (I refuse to say matron) at my best friend's wedding. It was outdoors at the top of a hill. It poured that morning. I mean torrential downpour. So I had to use the baby wipes in my purse to remove almost two inches of mud from the hemline of my dress. I was also maid of honor for my sister's wedding. She told me recently that my "welcome to the family" speech was interpreted by some of the groom's family as vaguely threatening. Whatever. Fictional weddings don't stand out much in my mind. Four Weddings and a Funeral maybe. But despite the pomp (or maybe because of it) I can watch either Diana and Charles's wedding or William and Kate's any day. Interesting dynamics, plot-building and character-reveal, all in one scene! Wait, maybe that's why you've got that recent award nomination, Miss Hank?? Best wedding scene--I like all those above--but will toss in The Graduate, too. Best sister wedding story? I'm a guy, I don't have one of those. Sorry. And lets talk about Charles sand DIana's--wasn't that---strange, thinking about it now? So sad. And what I remember most about William and Kate's is--Pippa. Hank, terrific scene!! I love it--and I can't wait to see if Gracie turns out to be really missing, after all. And what happens with Jane and Jack--I mean Jake:-)-- at the wedding??? Great hooks all around! Favorite real life wedding? My daughter's. It was perfect. And then my niece's, which was WAY more posh but just as lovely in it's own way. Fictional wedding? At the risk of being unoriginal, I think I have to go with Four Weddings and a Funeral. Ah, but which of the four weddings? Of course I am already in love with your new book after that excerpt, Hank. I'm excited about Jane's family, especially her sister, coming into the series more. Lissa sounds like a handful, but I'm sure Jane can handle her. Looking forward to see what's going on with Jake and Jane, too. And, how is the momentary disappearance of Lissa's future stepchild and the murder Jane is supposed to cover going to come into play? So much set up in the excerpt. Can't wait! I remember getting up in the wee hours of the morning to watch Charles and Diana get married, a seemingly fairytale wedding that we learned later was fraught with stress and betrayal from the beginning. In this age of reality television, a televised wedding isn't as unusual as seeing the royal wedding. There's even the one, which I haven't watched, called something like "Love at First Sight," where the couple meet for the first time and marry right away to see if they can stay together. Really? How could someone be so cavalier about such an important bond? In movies, one of my favorite weddings is in "Love Actually," where the best-man has arranged for different instruments to pop up out of the attending crowd to play "All You Need is Love," accompanied by a chorus in the balcony. Complete surprise to the just married couple. Oh, and FChurch, "The Graduate" will always be a favorite for me with Dustin Hoffman pounding on the glass and shouting his true love's name. Hallie, what a hoot! Your veil caught on fire? How did the bride handle that? My own wedding went pretty smoothly, except I can remember my legs were shaking under all that white gown, and we got to kneel just in time, before I fell over. Hank, thanks for a great excerpt that gave us so much to look forward to. If we were able to post pictures or videos of ourselves as we type, you would see me wearing my big-eyed puppy dog face in hopes of an ARC. Hehehe! Don't make me break out the flying monkeys to visit Kristopher's place. Yes, I want What You See! I have enjoyed the first three quite a bit. In Four Weddings, I'd have to go with the one where Mr. Bean is officiating at his first wedding. Then there's the old guy with the speech impediment performing the "Mawiage" of Buttercup and Humperdinck before Westley arrives to save The Princess Bride. And I do love the end of The Eyre Affair, when Thursday is about to interrupt the wedding of her beloved, but is beaten to it by a lawyer sent by Edward Rochester. Oh, Love Actually! Even thinking about that makes me cry. The whole movie makes me cry. I always have Kleenex. Just in cases. I was just at an anniversary party, Jim, where the now-grown son tales about his parents "mawiage." Half the room burst out laughing. And the other half was baffled. How about 27 dresses? Does that count as a wedding movie? One of my faves. I own It Happened One Night. Love those old movies. My favorite real-life wedding was my niece's -- beautiful ceremony and a relaxed, fun reception. As for fictional weddings, I'd have to say that my favorite is Duncan and Gemma's. Favourite fictional wedding - Tzeitel and Motel - "Fiddler on the Roof" - Sunrise, Sunset. I'd love to read the ARC. Oh, Elaine, Sunrise Sunset. SO touching! And when I first saw it, I completely sobbed. W, DUncan and Gemma's--Debs,you see this?? Hank... can picture this playing out around the market as if I were there! Duncan and Gemma... long sought for patient reader-fan thing going on with them here in my reading space! Favorite real marriage? My first as officiant. Actually my last as officiant. It was in a restaurant in the North End. Upstairs. Men holding up the wall every six feet around the room. I was cured. A friend and I wondered why none of the wedding receptions we went to were as much fun as the ones in the movies. My Best Friend's Wedding or Mamma Mia or Three Weddings and a Funeral. All had great parties! Most recent fictional wedding I enjoyed was between Murdoch and Julia on the Artful Detective aka the Murdoch Mysteries. Fans have been waiting for that one for a long time. Weddings of two friends from Renaissance Faire, who performed as Swords and Roses, come to mind. One muddy day at Faire, Susan suggested that my niece Moriah and I HAD to go to the joust, not disclosing the plans for Maria's beau to propose in front of court and guests. I was perfect. Maria and James had a most creative wedding, with friends wearing costumes of many eras and sharing talents of song and story. I told "The Blue Rose" and Moriah presented Maria and James each with a blue rose from Faire. Great story line about sisters , would love to win the ARC. I do not have a sister so totally enjoy reading stories about sisterly relationships. I really cannot think of a movie or story. But would love to content with hater 9 in that ARC. Love the wedding scene in Mamma Mia. I want WHAT YOU SEE. The wedding in the Godfather! And yes to Kristopher - Luke and Laura's wedding and yes to Charles and Diana! HI all! Thank you so much! I am so excited about this new book, and it is wonderful to hear your very very kind words. ANd the WINNER of the ARC of WHAT YOU SEE is SUSAN who chose High Society! Susan, email me h ryan at whdh dot com with you are address!